. Published on June 23, 2018 . 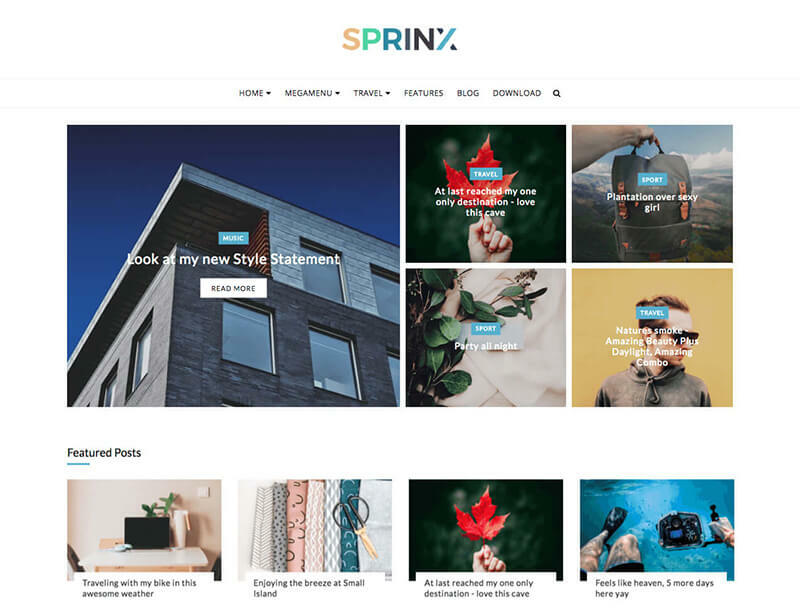 Sprinx is a Free Blogger Theme. You can customize this beautiful free blogger theme from the Theme Options given in the Layout section. We’ve given a Theme Options in this theme which helps in easily customizing the whole theme from changing the Sliders, which slider you want. You can change the Header from Header1 and Header2 in this theme. You can activate or deactivate the Preloader in the theme. It is pre packed with features that you can ON or OFF according to your needs. We have developed this theme for our users who can find the ease of usage of a blogger theme. This is really a multipurpose blogger theme developed by Oddthemes from which you can make your own website very unique.